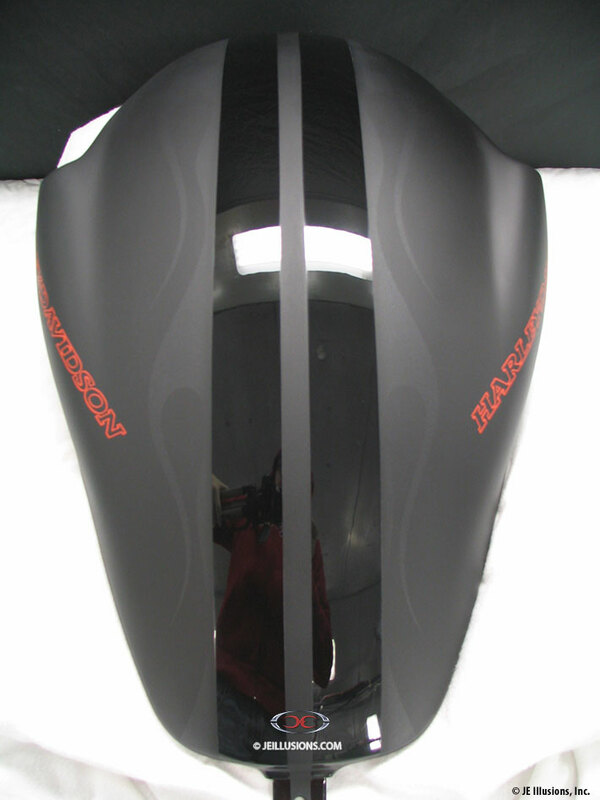 Ultra gloss Jet Black stripes cut down the center of the flat Black base on this paint job. Hints if a flame design surround the Jet Black stripes. 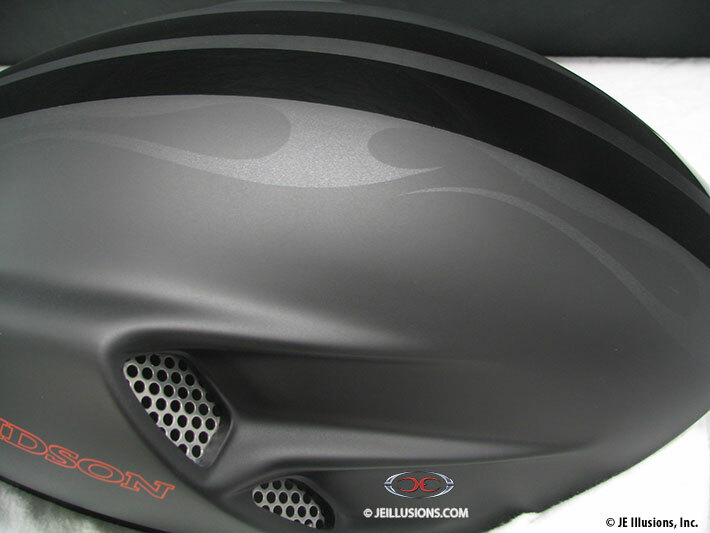 Harley Davidson lettering located on both sides of air cover. This paint job is Black and Blacker!